Kick Off The Holidays in Monterey! Join us this season for our favorite holiday events and activities! Save the dates and book your favorite room today! Finding out whether your first baby is a boy or a girl… Celebrating the final weeks before the birth of your first child… Celebrating new love… Celebrating decades of life together… At the Old Monterey Inn, we are ready to help make your milestone moments even more memorable. A couple of months ago, a pregnant couple joined us on their “Babymoon.” They arrived to the Old Monterey Inn with a special letter from their doctor holding the secret announcing whether their child would be male or female! Sitting under an oak tree in our gardens, surrounded by calla lilies and delphinium, they gazed into each other’s eyes, and took turns opening the envelope. Upon reading the contents of the letter, they smiled, laughed, hugged, and maybe even cried tears of joy as they discovered that their first child would be a boy! We were thrilled to be part of this moment, and took care to make it just as wonderful as could be. Some parents-to-be use their time at our romantic Monterey Bed and Breakfast to indulge and relax before their little one arrives with our Babymoon Packages. Mommy-to-be enjoys a prenatal massage while Daddy-to-be relaxes to a Swedish massage in our on-site spa room. Later that evening the two enjoy a dinner at one of our finest Monterey Peninsula restaurants. The weeks before the birth of a first child are very special weeks indeed, and we love helping parents-to-be relish that time together. In a fast-moving world like ours, finding true love is reason enough to celebrate. Our lush gardens are the perfect backdrop for a romantic getaway. Ask for chocolate covered strawberries, wine, champagne, or even flowers of your choice to be in your room when you arrive. You may even decide to have a romantic bonfire on Carmel Beach—a team from the Old Monterey Inn prepares a private beach bonfire for you, complete with a mat, a blanket, a dozen roses, snacks, s’ mores, an ice bucket, a bottle of sparking water, and a book of questions to ask your companion. All you have to do is arrive and enjoy the sunset, the fire, and the love of the person sitting next to you. Finding true love calls for a celebration, and so does lasting love. Make the Old Monterey Inn an anniversary tradition. Just this month, a couple stayed at the Old Monterey Inn for their 65th wedding anniversary. One year ago they’d stayed with us for their 64th wedding anniversary. We are proud to have earned their annual stay, and thrilled to help them celebrate the love of their lives. Whatever your special occasion is, we are excited to help you celebrate in style, eloquence, and romance. Congratulations on having a life worth celebrating, and thank you for sharing your special moments with us. Discover our New Website, Fun Monterey Activities and More! Lawrence and I are happy and proud to be writing our first blog post, announcing our brand new website! We want to thank the Jumping Rocks photographers and our website designers, White Stone Marketing! We think they have done a fabulous job with our site, and helping us to ‘show off’ our beautiful Monterey Inn and all of the hard work we have been doing around the property. Thank you! We hope you check it out when you get the chance! Meanwhile, spring is in the air here in Monterey, Carmel, and Big Sur. The coastal recreation trail has been packed with runners, cyclists and walkers. What a perfect place to train, or just get out and enjoy the stellar weather we have been having. Lawrence and I enjoyed the beautiful weather and took a quick trip out 17 Mile Drive to Pebble Beach last weekend to enjoy lunch on the patio at the Stillwater Café. The restaurant sits right off the 18th green at Pebble Beach. The food and service are as phenomenal as the setting! 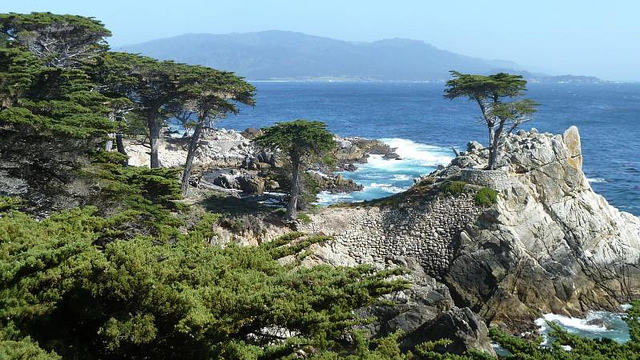 We can highly recommend that as a day trip while you are staying with us here at our bed and breakfast in Monterey, CA. We would love to have you join us, as we enjoy spring here in Monterey, and we hope to see you soon. 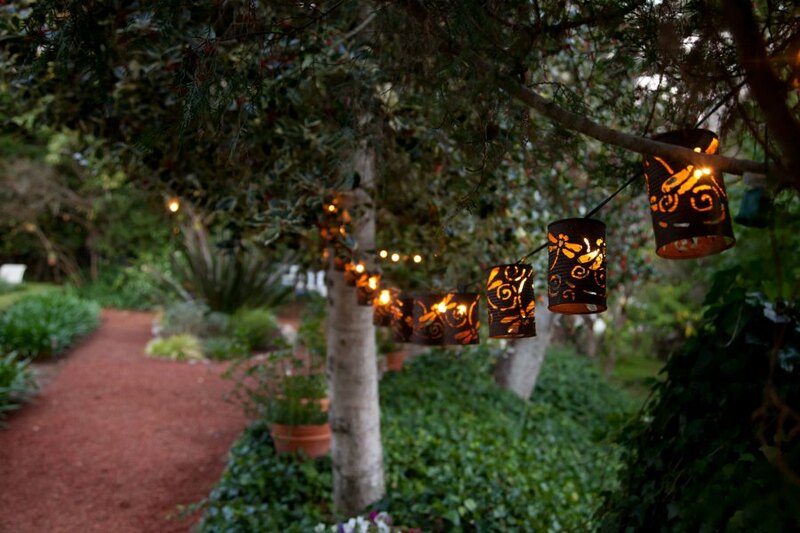 Let us help you plan your visit, as you discover the fantastic Monterey activities around our inn!